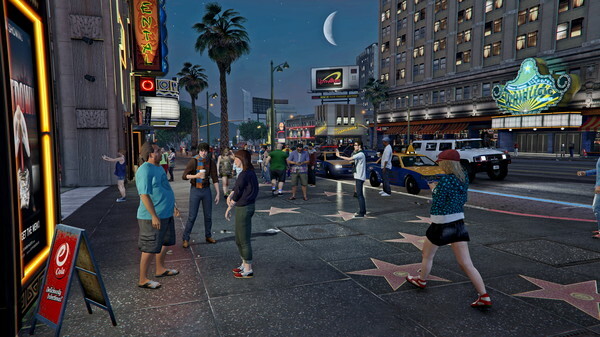 Grand Theft Auto V resurfaces once more, and this time in its ultimate reincarnation for the PC platform. We took it for a spin to see what has changed for the 2015 edition. We’ve reviewed it on Xbox 360 and on PS4 – and now we’re doing it one more time for the PC platform. What more is there to say about Grand Theft Auto V? The core gameplay has been left untouched – although there is more content available for the PC version than before since all previously released DLC is there right from the start. And for those with creative impulses, the Rockstar Editor allows you to direct movies to your heart’s desire, with new features that will certainly cause plenty of youtube creations to appear over the next few months. Having said that, it might surprise some of you that there is some content here that’s brand new as well. A lot of that content is audio, with a brand new radio station included called “The Lab FM”. I had not heard of any of the artists featured (Earl Sweatshirt, anyone? ), but perhaps that’s just me being out of touch. Still, it’s great to see that Rockstar went the extra mile with more diversity to an already diverse and impressive music roster. Speaking of which, GTA V for PC also includes “Self Radio”, essentially a jukebox that allows you to play your own music files – much like the option featured on previous GTA PC games. Self Radio also has its own hosts though, making the experience much more immersive. Aside from music and improved controller support (aside from mouse/keyboard you can also hook up an X360, Xbox One of PS4 controller), most of the improvements are indeed technical in nature – as was to be expected. While the ‘next gen’ console versions pushed performance to 30 frames per second at 1080p resolutions, the PC version now eclipses that by offering 60 frames per second at resolutions up to (and beyond) 4K. Additional horsepower also means a greater drawing distance – even over the PS4/XONE versions where this was already greatly improved. Of course, this kind of graphical splendor comes at a price – you need a system with plenty of power under the hood to run the game at these specifications, and GTA 4 was somewhat notorious for underperforming on a lot of PC systems. 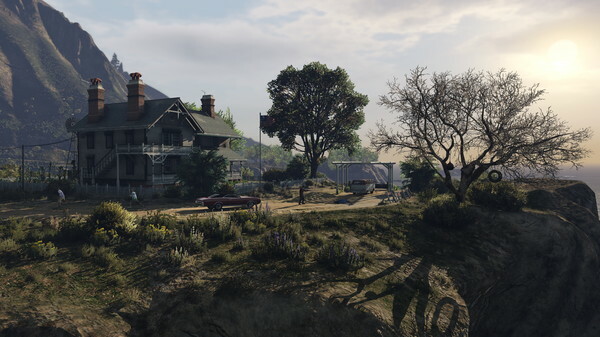 This time around, Rockstar seems to have anticipated the vast variety of setups that PC gamers use by adding more customization than ever before. Expect the usual toggles in terms of texture/shader/water quality, but you can also change the city’s density – affecting how much is going on in the city at any given time and thus freeing up or using up precious resources. On our relatively modest setup, GTA V performed amazingly well at 1080p with everything turned up to max – the experience including the enhanced drawing distance and a fluid 60 frames per second. If you’re a power user, you can crank these settings up or even use a multiple monitor and/or 3D setup. So is the game worth picking up? Having been updated to 2015 standards, the answer has to be a resounding yes – for GTA V is still one of the best games ever made. However, 18 months after the initial release for X360/PS3 it remains to be seen how many gamers haven’t taken it for a spin yet. If you haven’t or were holding out for the PC version regardless, then pick this up knowing that you’ll be playing the ultimate version of one of the best games in recent history. Note: at the time of writing, users are experiencing problems with the rollout on Steam. This didn’t affect us and we’re sure things will be fixed sooner rather than later, so this didn’t affect our score.